If you love the #PB 10for10, it's this coming Friday, August 10th! It's the ninth year for it and you can find all the information about it here! Just imagine all the wonderful books that have been shared all these years! Thanks to Candlewick Press for the arc of this book! Many might think that sixth graders don't have challenges. After all, they're only in elementary school. In this historical middle-grade novel, set in Alabama with racial conflicts in the race for governor (Wallace's last term), young Lu Olivera has learned she loves to run and is good at it! In the prep for field day given by her pe teacher, Mrs. Underwood, Lu nearly wins and is only beat by Belinda, a black classmate. Thus the ending weeks of her sixth-grade year begin, and Lu isn't quite sure where she stands. A scene is set by Lila Weaver within classrooms, too. Lu sits in the middle, not exactly white because her parents are from Argentina, so while white kids sit on one side of the room and black kids on the other, Lu is smack in the middle. This year friendships change as some girls say they're leaving for the new private school, and Lu's earlier friends, Phyllis and Abigail, are pulling away to the tune of not-nice Missy. It is a mixed-up and new world for Lu, but with the running and support from her older sister who works for the man running against Wallace and her friend, Sam, whose family also supports that candidate, somehow it works. And it works finally when Lu realizes that true friends are "always" friends, no matter what color they are. Toward the end, Lu realizes she has two friends with "brains and gumption", advice given for friendships by her sister. She says to herself: "Sometimes shy people are pretty gutsy, deep down. Sometimes they're not, but then they put their minds to it and figure out how to grow gumption. Maybe that's starting to happen to me." Lu tells her story, honest in sharing her worries and hurts, her mixed feelings when thinking about girl and boy stuff, and trying hard to do the right thing, but feeling shy often when she knows she should speak up. Red Grove, Alabama is a fictional town, but the story is inspired by the author's real experiences growing up in Alabama. It's a basic story and at times, I wanted more details, then realized that those basics are enough for a middle-grade story, will inspire further reading and research into this historical time period along with interesting conversations. Many families are pictured with happiness in this rhyming picture book with double-page spreads by Alexandra Penfold and Suzanne Kaufman. Cute rhymes and happy pictures show children, and families, in the story of what seems to be the first school day. The lines on the first double-page: “Pencils sharpened in their case./Bells are ringing, let’s make haste./School’s beginning, dreams to chase./All are welcome here.” Each verse following includes more of the day, during several lessons, at recess and lunch. I love the celebrating here: “Time for lunch--what a spread!/A dozen different kinds of bread.” There is a wonderful double, double-page at the end, appears to be an evening open house/pot luck. An imaginative story, but Maria Gianferrari has also placed some further information about Red-Tailed Hawks at the back. Basically, it’s about a Father Hawk working hard to find dinner for his nestlings, and after several attempts, finally grabs a squirrel to take home to screeching babies. A second storyline shows a mother and her daughter watching outside their home, with binoculars, who follow the hawk through the day. 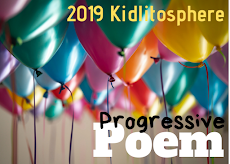 Few, but beautiful, words are used as Brian Floca fills the pages with the grandeur of this bird of prey, the beauty of his flight, the frightening attacking claws grasping, missing, holding on at the end. 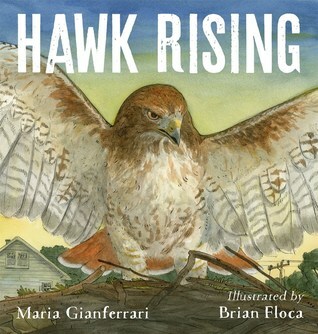 Imagine: “Chipmunk scuttles under the neighbor’s porch.” and “He rides the wind/like a wave,/twisting and turning,/kiting and floating.” It’s a wonderful book of one day in a red-tailed hawk’s life, one that might be used to introduce birds of prey, to discuss the challenges it has each day and those of the little animals to escape. A young boy, Seb, wants so much to bring light to his far north town on the coast. The sun never shines in winter and the days are dark and dreary -- The illustrations show it’s cold, too in multiple grays, with touches of green. It’s clever to see the varied kinds of artificial light in the story, like miners’ lights on their heads, one lown lamp outside a building, and lit windows. Seb has an idea, asks for help and gets rope, yarn, fishing line and a bucket, then begins his mission with friend Walrus. What happens is fantastical, but oh what joy is shown in Jami Gigot’s illustrations. You will see when you read it. Vernon, Skunk, and Porcupine return with three sweet stories, all good friends trying to add to each other's happiness. They take walks, wonder about each other, have worries, but the feeling of comfort helps by being together. It's simply a nice thing reading about these friends walking along, listening to each other, accepting what the other shares. That's what is needed, isn't it? The illustrations show contemplation and a calmness, emotion without being overwhelming. I always enjoy Philip Stead's books. What's Next: Another arc from Candlewick, and I need to choose one of my "Must Reads"! I just noticed My Year in the Middle is available here. I've been thinking about picking it up (once I get through a few more books in my stack). 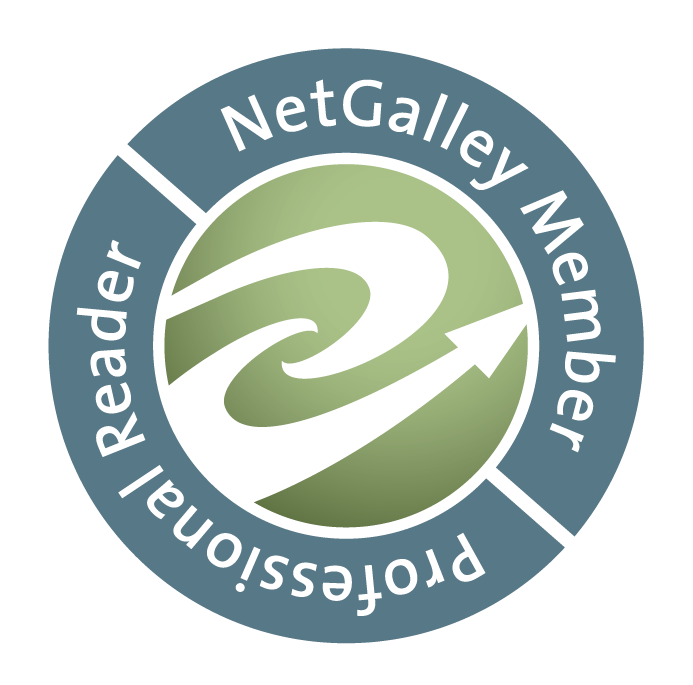 So thank you for sharing more about this book than I knew! And I love the picture books you shared, this week. Can't wait to see if we have any of them locally! 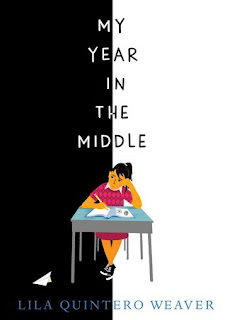 I enjoyed My Year In The Middle very much, a good story that will help others who are struggling with social issues at school. 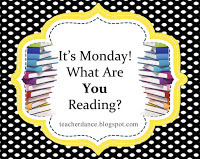 Enjoy the picture books; each is terrific! I have been suggested to read, All Are Welcome quite a few times; yet it is not available at my library. I may have to purchase it through Amazon. I think it would be a great read for classrooms in the beginning of the school year to assist with making a safe place for ALL students. Thank you for sharing! Yes, All Are Welcome is perfect for a beginning-of-school read, Jeanie. Hope you'll be able to find it! Thanks! I didn't even realize Philip Stead had a new book out! And I see my library has it! Joy! I need to get my hands on All Are Welcome too and Hawk Rising. Brian Floca's work is always worth a look. 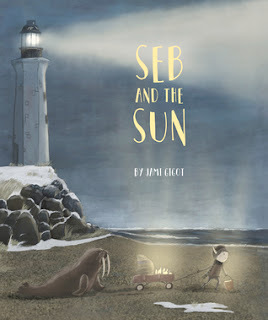 I also love that cover for Seb and the Sun! I was lucky to get these early, Elisabeth. Each one is beautiful in its own way. Thanks! I'm hoping ALL ARE WELCOME comes in at my library soon. Sounds like a perfect first week of school book. Yes, it is! Hoping for you, too! Thanks, Beth. I loved Vernon Is On His Way, so heartwarming and lovely. Isn't it the sweetest book! 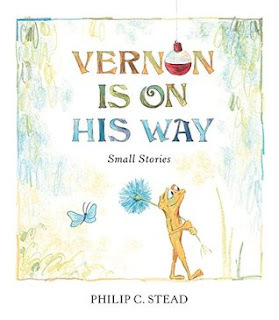 As I wrote, I love Philip Stead's books; each one makes me smile! My Year in the Middle sounds good. Junior high can be so hard and not feeling you fit in is such a relatable topic that I am sure many tweens can relate to this book. I think so, and there are a number of challenges about growing up, really well done. Thanks, Sara! I just picked up a copy of All Are Welcome at the library this morning. It's the perfect book to share at the beginning of the school year. I'm looking forward to PB 10 for 10 although my wallet is not! I understand about PB10for10, the list & the purchasing grows! Enjoy All Are Welcome. It's wonderful. I hope you enjoy it, Hallie. It's a good addition for those in that pre-teen time. Thanks! A lot of very good books to add for me. Seb and the Sun, My Year in the Middle and Hawk Rising are all being added for me. Thanks for the great post! You're welcome, Aaron! Hope you enjoy the books! 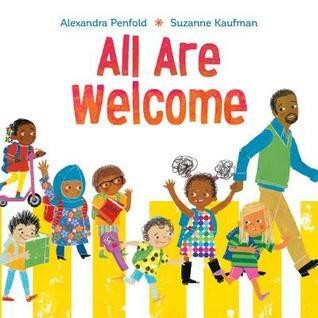 I just read All Are Welcome today and I'm definitely recommending that as first-day-of-school book to share with kids! Have a great week! Yes, it will be terrific for the first day, Jana. Thanks, hope you have one, too! I'm requesting Seb and the Sun. Have you read Sophie Blackall's new book, Hello Lighthouse? Your description of Vernon Is On His Way reminds me of the Toad and Frog books. 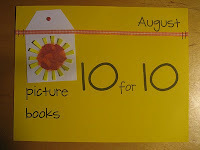 Thanks for the reminder about PB 10 for 10! Yes, I loved Hello Lighthouse, so, so nice. Vernon is like Frog and Toad, not as extended a story, however. I'll look for your 10for10! Thanks! A lot of your titles are in my piles. Hoping to clear a few stacks before school starts! I understand & I don't have to start the year, though I'm getting busier at the bookstore, more than I imagined. Enjoy what you can, Michele!